Henry VIII took over Ireland at about the same time as he executed Anne Boleyn – 1536 – because they rebelled a lot. But he couldn’t really hold it so his successors had to take it again and again for about 100 years – the wars went on – and on. Then under Oliver Cromwell ( the Protestant!) Catholicism was outlawed – banned. The lands were taken from Catholics and given to English Protestants who set up “plantations.” This took a couple hundred years during which time the Irish natives became the literal slaves (they were bought and sold there) of the Anglo-English. Very slowly and for a variety of complex reasons, these anti-Catholic laws were eased. But just then, to top it off, the first of the great famines hit (1740) and a huge wave of Irish Catholics came to the US as indentured servants – especially Virginia. The English started taking notice and some good reforms were passed, limited representation in Parliament was granted, Catholicism was allowed, etc. After the American Revolution the English were more afraid of revolution than of Catholicism. But then about half way through the Reform movement the reforms stopped and the rebellions began in ernest. This time Ireland wanted their own lands back and government by self-rule. Too bad – the potato famine hit Ireland big time (1845) and the US got millions of immigrants on its shores – especially New York and Boston. So finally in early 1900s Ireland itself was splitting into Northern industrialist Protestant (small) and Southern agrarian Catholics (big) and they were fighting each other. Dublin is definitely in the South. What kind of “home rule” or Independence did they want? 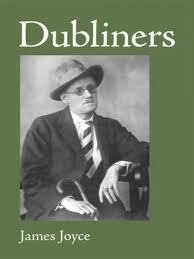 Dubliners, as we read it today, was written between 1901 and 1907. But it as not published until 1914. The book speaks to the struggles of the Irish during that time – trying to be independent but not really knowing how – fighting a World War and a Civil War then compromising. These were very difficult times. Joyce also had issues with the Catholic Church which he felt kept the Irish trapped and downtrodden. In the stories I can sense the despair – the feeling of being trapped. I wanted to shake these people and tell them to “get free! 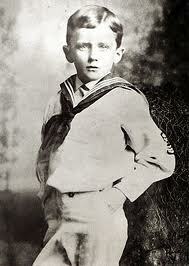 !” In these stories Joyce’s characters are trapped by the Brits and the Catholic Church and the whole thing. 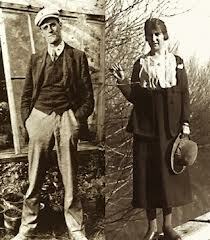 **** In 1904 Joyce and his new wife, Nora Barnacle, moved to Trieste and other places in Europe. Right after WWI broke out (1914), Ireland was granted Home Rule but it was postponed until the end of the War (while Irish Catholic boys were drafted – thinking they should be home fighting the Brits or thinking they should be on the side of Germany which would give them independence.) This is when the first Irish Republican Army started because there was a treaty which gave Ireland Home Rule but not Independence. But Home Rule wasn’t enough for a lot of Southern Irishmen and they rebelled and toward the end of WWI (1/1919) a real War of Independence started which turned into a Civil War because of the North wanting to stay with England. Finally, they were tired of the War and some were willing to accept a compromise, so Ireland was divided into Northern Ireland and Southern Ireland in 1921. 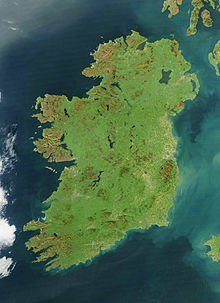 Northern Ireland is part of the United Kingdom while Southern Ireland has been the Republic of Ireland since 1937.